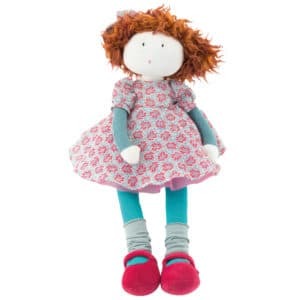 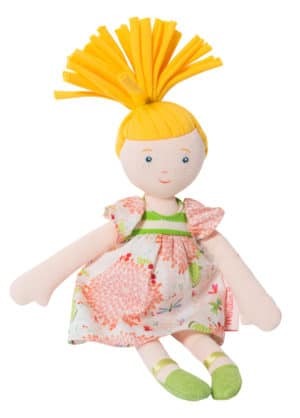 The small Pomme doll is a soft bodied rag doll with ginger hair and blue eyes. She is wearing a cotton dress of orange and green in a fox and leaf pattern and her outfit is completed with sweet orange felt and ribbon shoes. Petite Pomme’s dress is removable. 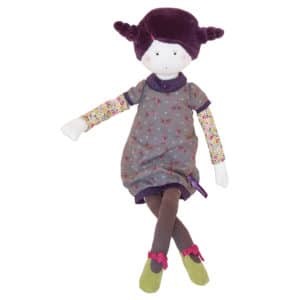 Her eyes are embroidered and other facial features are hand painted. 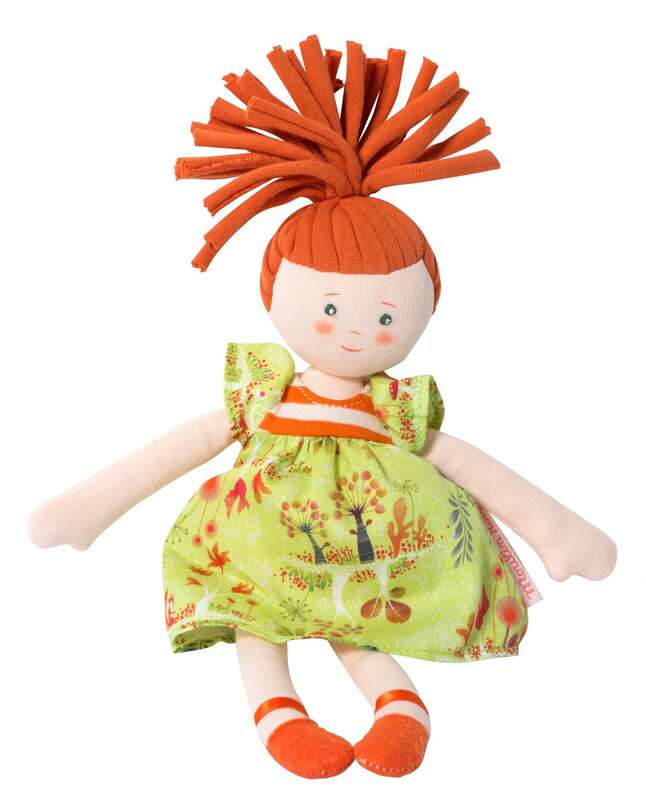 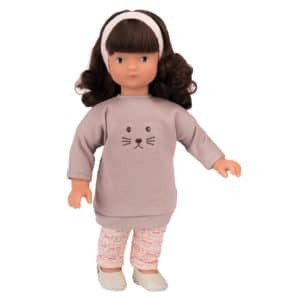 She would make a very loving companion for your child, and would also be the perfect toy for pretend play. 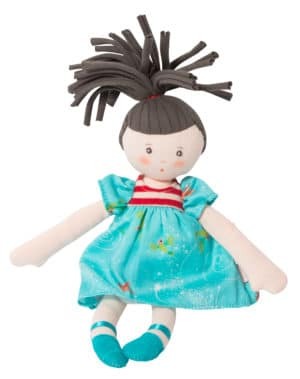 Dolls and pretend play can help to stimulate verbal skills, imagination, self care and social skills.